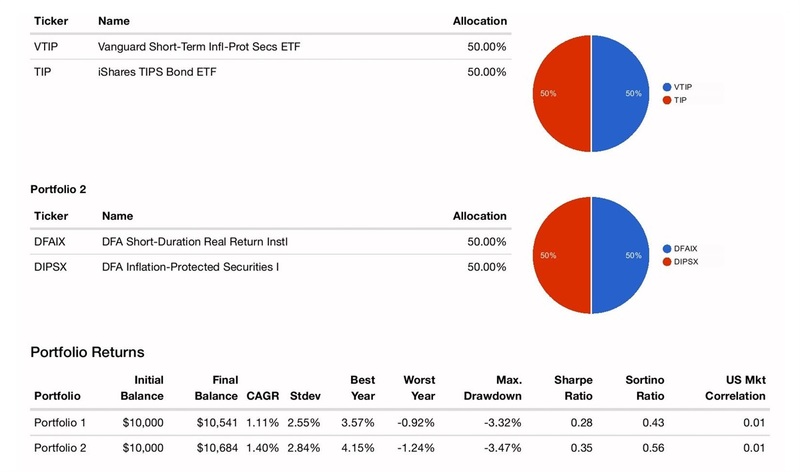 Last week's blog article contained a video that addressed the performance of actively managed mutual funds compared to their indexes. The results were not good for stock or bond managers. The chart above shows that active management in bonds doesn't work any better than it does in stocks -- only 13% and 14% of active bond and stock managers, respectively, outperformed their index over the last 15 years. Some investors and advisors see this data and assume it means you should just buy an index fund. That's a fine approach, but usually, it's less than optimal. 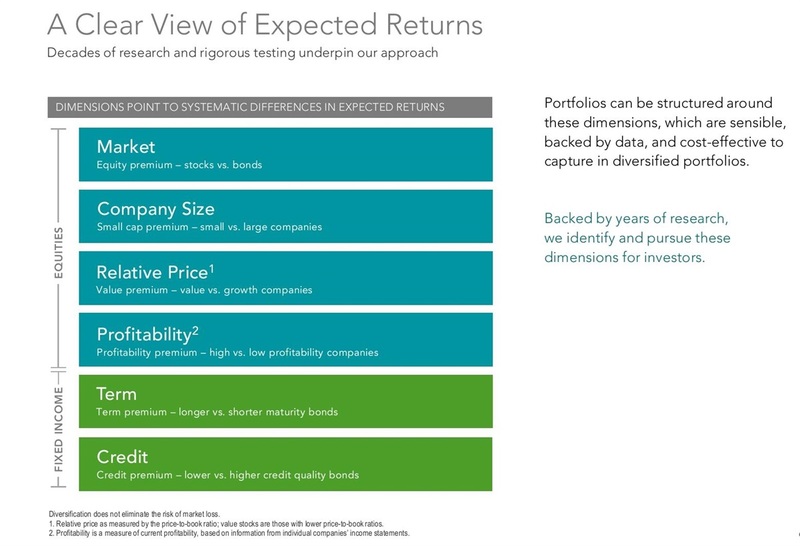 By targeting the sources of returns identified by academic research in the stock and bond markets, portfolios can be designed to generate higher expected returns without picking and choosing individual issues or jumping in and out of the market. On the stock side, you know that small cap, value, and profitability have been identified as factors that drive returns. Less attention is given to the factors in fixed income -- maturity and credit quality. By targeting longer-term bonds when yield curves are steep, versus shorter-term bonds and cash when they're flat to inverted, and lower-tier corporate bonds when credit spreads are wide, versus upper-tier corporate bonds and government bonds when credit spreads are narrow, "variable maturity" and "variable credit" approaches based on decades-old academic research from Eugene Fama can be used to capture higher returns. There are various segments of the bond market, so I'll illustrate several approaches and allocations that have been successful. Longer-term views are constrained by the inception date of some of the funds used in comparisons. More limited comparisons can be made going back over 25 years with similar results. 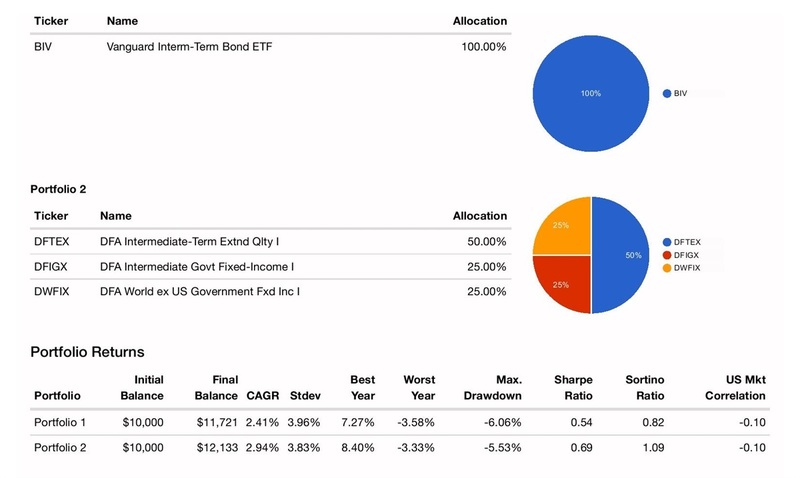 To simulate an ultra short-term bond index, I combined 50% 1-3 Year Treasury ETF and 50% in the 1-3 Year Corporate Bond ETF. Since 2009, a split of 50% DFA Two-Year Global Fixed Income and 50% DFA Short-Term Extended Quality employed a globally diversified, variable maturity and variable credit approach to generate 0.5% per year higher returns than the index without taking greater risk (a standard deviation of 1.1 versus 1.0 for the index). In the next example, I use the Vanguard Short-Term Bond Index as our proxy for the short-term bond index. Since 2009, a combination of 25% DFA Two-Year Global Fixed Income, 25% DFA Five-Year Global Fixed Income, and 50% DFA Short-Term Extended Quality pursued a globally diversified, variable maturity and variable credit approach to generate 0.6% per year higher returns than the index without taking greater risk (a standard deviation of 1.5 versus 1.4 for the index). The short/intermediate-term segment of the bond market is proxied by the iShares Bloomberg Intermediate Corporate/Government Bond ETF. 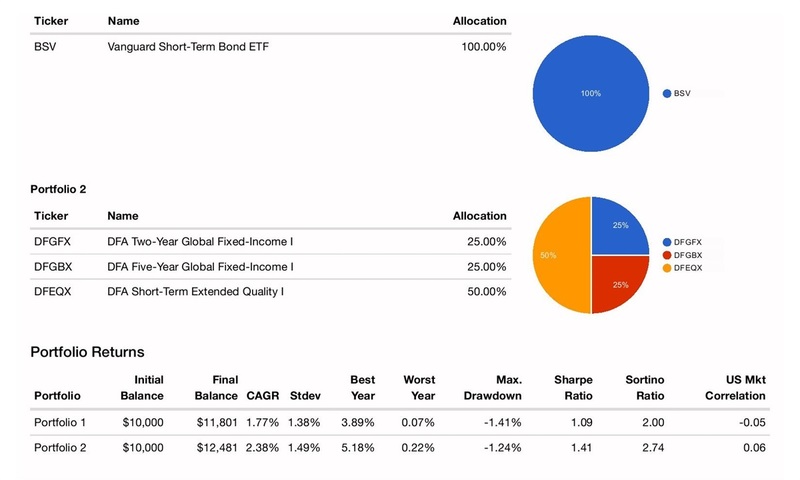 Since 2011, a combination of 34% DFA Investment Grade Bond, 33% DFA Five-Year Global Fixed Income, and 33% DFA Short-Term Extended Quality pursued a globally diversified, variable maturity and variable credit approach to generate 0.4% per year higher returns than the index without taking greater risk (a standard deviation of 2.2 versus 2.2 for the index). The bond market is proxied by the Vanguard Total Bond ETF. Since 2012, a combination of 50% DFA Investment Grade, 25% DFA Five-Year Global Fixed Income, and 25% DFA World ex-US Government Bond used a globally diversified, variable maturity and variable credit approach to generate 0.8% per year higher returns than the index without taking greater risk (a standard deviation of 3.0 versus 2.9 for the index). 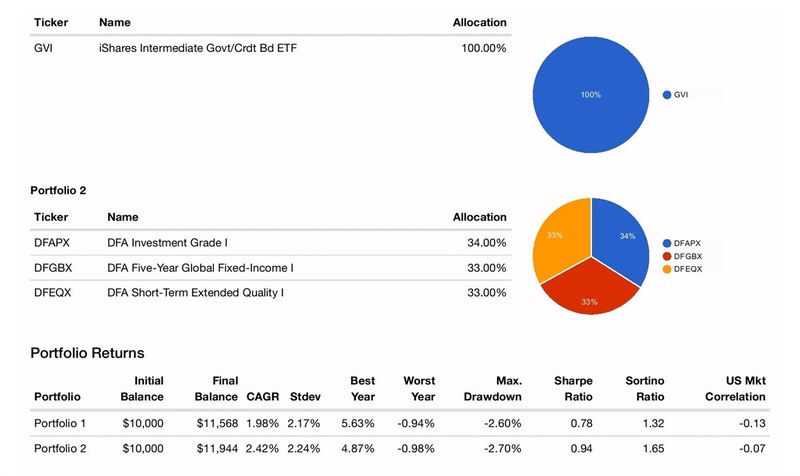 The intermediate segment of the market is proxied by the Vanguard Intermediate Bond ETF. 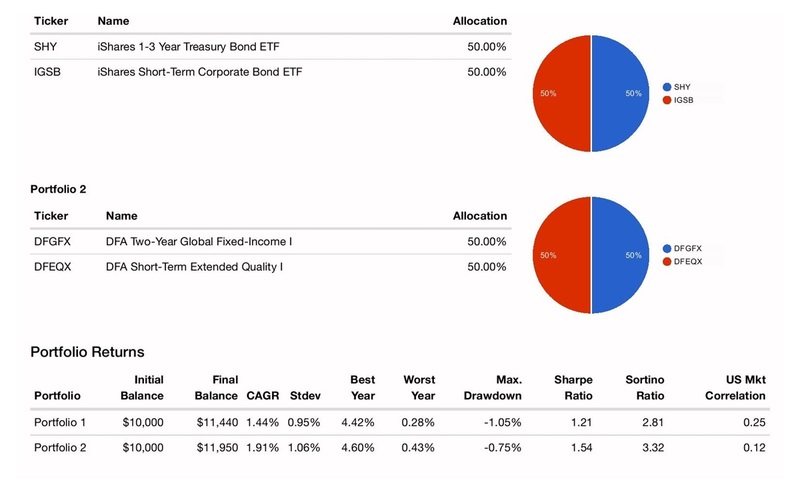 Since 2012, a combination of 50% DFA Intermediate-Term Extended Quality, 25% DFA Intermediate Government Bond, and 25% DFA World ex-US Government Bond employed a globally diversified, variable maturity and variable credit approach to generate 0.5% per year higher returns than the index without taking greater risk (a standard deviation of 3.8 versus 4.0 for the index). By combining the Vanguard Short-Term Inflation-Protected Bond ETF with the iShares Inflation-Protected Bond ETF, we can assemble an index of short and intermediate-term TIPS. Since 2013, a combination of 50% DFA Short Duration Real Return and 50% DFA Inflation-Protected Securities pursued a variable maturity and variable credit approach to generate 0.3% per year higher returns than the index without taking greater risk (a standard deviation of 2.8 versus 2.6 for the index). While past performance is not a guarantee of the future, the evidence finds that variable approaches to interest rate and credit risk can be used to outperform traditional bond indexes -- a result that is exceedingly rare from traditional selection and timing methods employed by active managers.